You are here: Home › News › Resources › Research › Policy › Farmland investment companies: Innovative partners for land access? Farmland access and affordability are top obstacles for new and beginning farmers in New England and nationally. Many new farmers cannot afford to purchase land to start or expand their operations. At the same time nearly 30% of New England farmers will exit farming in the next decade. 90% of them do not have a younger farm operator working with them, but most senior farmers without successors want to keep their land in farming and pass on their farms to a new generation of farmers. Addressing these land access challenges requires creative approaches and new partners. And, with investment companies buying farm and ranch land across the country, what potential does private, “values-based” investment capital hold to provide affordable, secure access to farmland for farmers? This is the focus of Land For Good’s most recent investigation of farmland investment in New England. Could farmers working with farmland investment companies represent an innovative model for land access? For example, an investment company can purchase a property sought by a farmer, but one which he or she is not able to immediately purchase. The company then rents-to-sell to the farmer, which may be more viable for the farmer and meets investors’ objectives, too. What other factors might influence a farmer’s choice to work with a farmland investment company? These questions are answered in a recently released report, Farmland Investment Models: Innovative Land Access in New England.The report shares the findings and analyses of an investigation of four farmland investment companies; companies that espouse a social mission, and acquire farmland in New England. The project, conducted in partnership with the University of Vermont Extension Center for Sustainable Agriculture, had two goals. The first was to help farmers better understand these models in order to make informed decisions about engaging with them. The report also provides guidelines for farmers considering working with investment companies, feedback from farmer focus groups and legal and financial analysis, and case studies. The second goal was to enable farmers to contribute constructive feedback about the models. Observations and recommendations for farmers were based on two focus groups with farmers, including one in dialogue with the investment companies, and a review of company materials by a team of legal and financial advisors. This report increases our understanding of how some farmland investment companies work and how they differ—and analyzes the potential implications of these models for land access and security for farmers. The potential success of farmland investor models lies in their attractiveness for farmers as well as investors. Whether engaging with investment companies is the best land access strategy for a specific farmer depends on that farmer’s financial position, the property in question, the proposed arrangement, and the other financing and land access options available. In the end, farmers will need to decide for themselves. 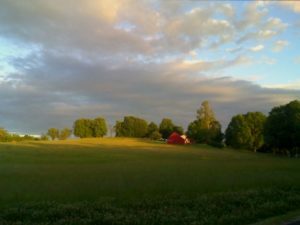 This project was supported by grants from the Vermont Farm to Plate Network Fund, The Cedar Tree Foundation, and Sustainable Futures Fund of the Vermont Community Foundation, plus in-kind contributions from advisors. Thanks and appreciation to the participating farmers and advisors who are listed in the Appendices. Thanks also to Aaron Locker and Tim Biello for sharing their stories. Special thanks and appreciation to Kevin Egolf, Jacob Israelow, and Aaron Niederhelman for their openness, collegiality and willingness to dialogue, and for their innovative visions to support our farms and farmers.